Where exploration begins and the fun never ends. 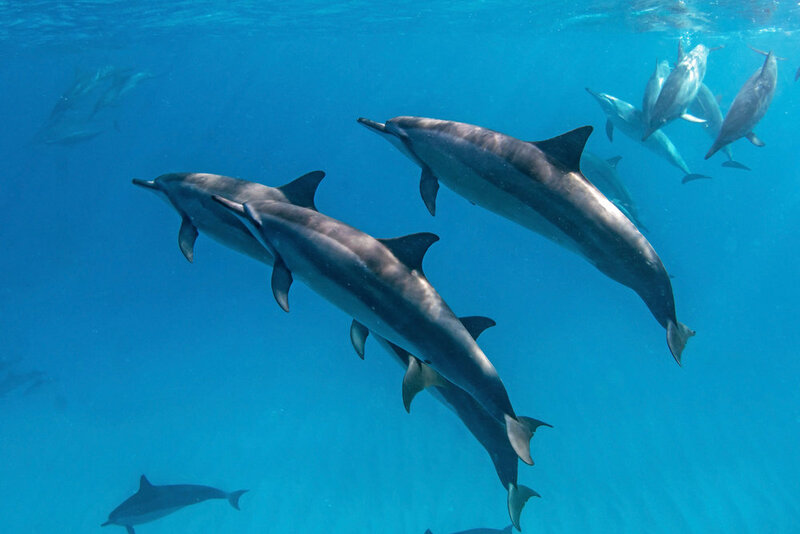 You’ll snorkel alongside dolphins near the most pristine coral reefs the Big Island has to offer! Cruise along the spectacular Kona coastline, enjoying the electric blue Hawaiian waters, while your crew informs you of the rich Hawaiian culture and legends. Observe the playful and entertaining Pacific spinner dolphins “Stenella Longirostris” as they surf the bow wake and live up to their names by flipping, spinning, and putting on a great aerial display that you’ll remember for life. Once we locate a pod of dolphins, your snorkel guide will give you a detailed briefing on how to enter the water and interact with the dolphins in a respectable manner. Ready to have a Kailua-Kona dolphin snorkeling experience that you’ll always remember? Schedule our Big Island dolphin tour today! Need a Vacation Rental for your trip? Check out Vacasa!